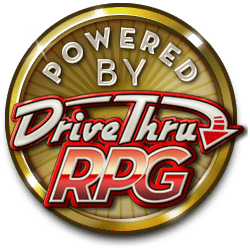 This pay-what-you-want product is an interactive PDF designed for use by coordinators with the Modernity (Fate Edition) RPG. The PDF has two modes: a printable version and an electronic game tracking version that you can use in realtime at the game table. It's up to you as the coordinator to stay organized, focused, and on track with the story to enable the best possible (read: scariest) experience for your players all throughout the game, because. . . It is up to your players to . . . Fight the Darkness. This toolkit is for the edition of Modernity based on Fate Core. It is fully compatible with other Fate Core products. All minor variations are documented in the Modernity (Fate Edition) book. This title was added to our catalog on November 21, 2014.